Think about the best boss you ever had. What attributes and abilities did they exhibit that you appreciated? Their self-confidence probably made your list. 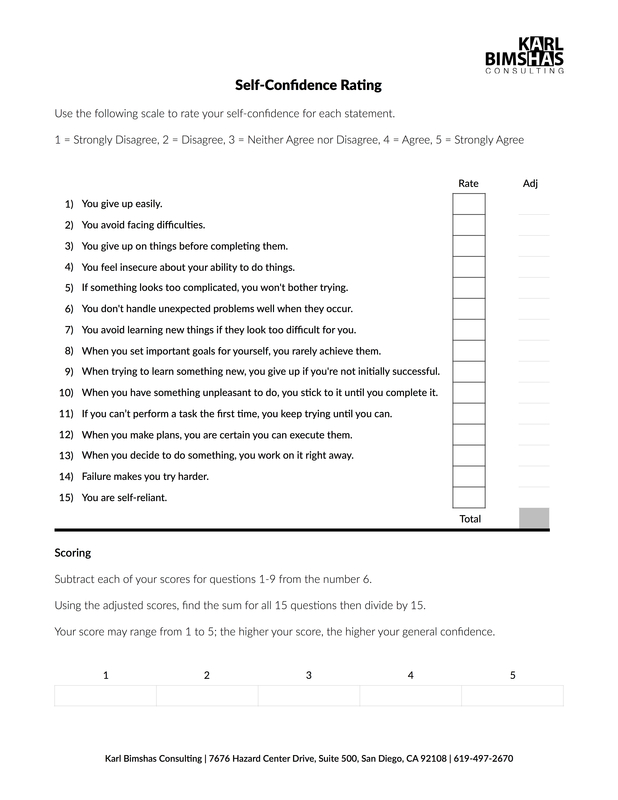 Download and print the Self-Confidence Rating sheet to gauge your current self-confidence. Not happy with the results? Make an Action Plan to improve key areas. 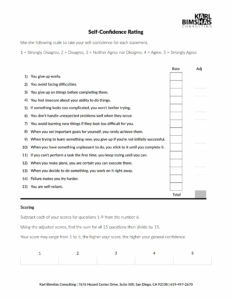 This one sheet pdf file contains 15 questions.